Your wedding is all about showing off your personal style and creating one heck of a party. There’s no easier way to make a style statement than with your wedding choices. After all, they’re one of the first things guests will notice. Having trouble picking your flowers from the thousands of varieties available? 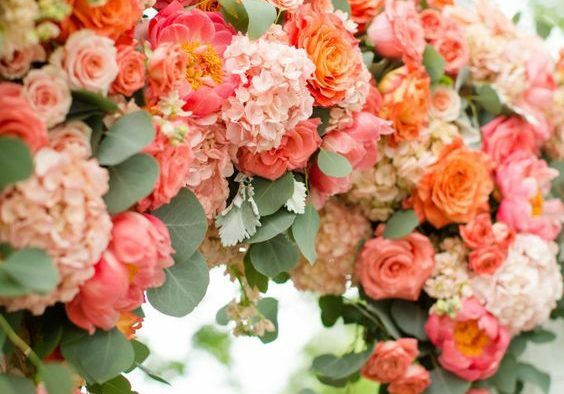 Check out our roundup of favorite wedding blossoms to help you decide. At Team Wedding we have tons of inspiring pictures of wedding flowers, centerpieces and bouquets to guide you on your flower journey. Choosing wedding flowers that fit your style and petals that match your color palette isn’t always easy — especially if you don’t know a dahlia from a daisy. At Team Wedding we’re focused on giving you the ultimate guide to wedding flowers. Everything you need to know about the most popular wedding flowers (cost, season, meanings, and color choices), plus hundreds of photos of each bloom in bouquets, centerpieces, and boutonnieres from real weddings. We also have lots of great advice and inspiration with our ongoingwedding flower blog posts. For more information on Wedding Flowers see our inspirational wedding flower gallery, follow our wedding flower Pinterest board and find local wedding flower vendors. You may have a wedding theme chosen and looked at hundreds of wedding flower pictures, but have you decided on each flower arrangement? 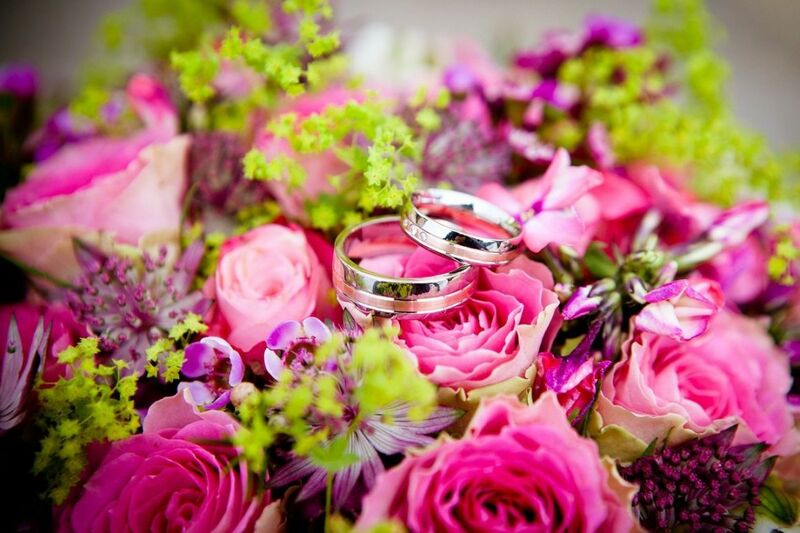 You want your wedding flowers to be beautiful and have a cohesive theme. 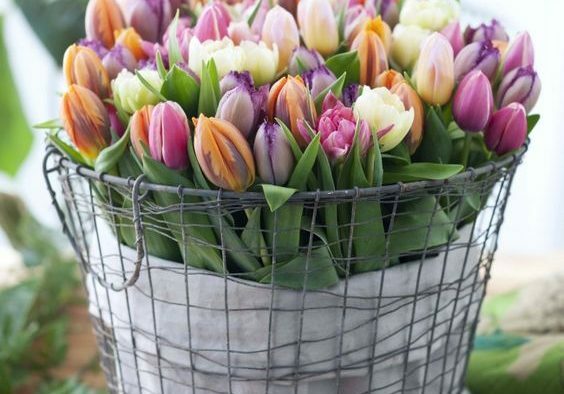 Here’s your guide to the flower arrangements you need to be specifically thinking about. Ceremony Flowers: A big part of the wedding ceremony decorations elements is going to consist of flowers. It is important to match your flowers to your location. If you’re getting married in a simple church, think about the church pews and how flowers can bring them to life. If you’re in an extravagant church, then make sure the ceremony flowers don’t overpower then scene. Outdoor weddings on the beach will require a totally different wedding flower arrangement set than outdoor wedding at a winery. Bridesmaid Bouquets: Like the brides flowers, bridesmaids’ bouquets feature a variety of colors, flowers, and styles. You can create a unique look for you bridesmaids or simply follow the bridal bouquet look but a little smaller. We’ve seen some brides create totally unique looks for the brides that match the groomsmen or the rest of the wedding decor. 9 – 11 months before your wedding: Set up appointments with wedding florists in the area to discuss options. Make sure you have a good sense of the types of flowers you like, what your wedding theme is like and understand your budget. 6 – 8 months before your wedding: Choose and hire your florist. Browse wedding flowers pictures to figure out what flowers you like and start to make a concrete list of all the wedding flower arrangements you want to include in your wedding. 4 – 5 months before your wedding: Finalize your wedding flowers, and settle on a final price for the contract. Make sure you haven’t missed anything and check in on your florist a few weeks before the wedding to ensure everything is going to plan. One of the key pieces of advice to listen to when it comes to wedding flowers is making sure to shop for the season and think locally. At Team Wedding we tell all the brides we know to focus on their wedding season and think about which flowers are going to be freshest and available locally. That maximizes the chance that your flowers will be fabulous. Summer Wedding Flowers: Summer weddings make us think of evoke clear skies and warm sunny days filled. The smell of summer wedding flowers and their fine yellows, gorgeous greens and purple hues make us love this time of year. The best summer wedding flowers include Anemone, Asters, Button Chrysanthemums, Calla lilies, Cymbidium Orchid, Dahlias, Daisies, Delphinium, Freesia, Geraniums, Hydrangeas, Iris, Jacobs ladder, Larkspur, Phalaeonopsis Orchid, Queen Anne’s lace, Roses, Shasta daises, Spider Chrysanthemums, Stock, Sunflower, Viburnum, Zinnias. Fall Wedding Flowers: Fall weddings are so romantic and the change of season has us all smitten. Fall wedding flowers consist of rich reds, dark oranges and vibrant yellows. 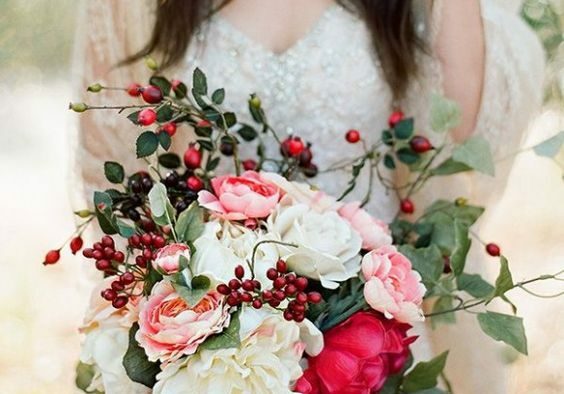 Rich fall bridal flowers really capture the warmth and beauty of the season. Fall flowers in bloom include Asiatic Lily, Asters, Calla Lilies, Chrysanthemums, Dahlias, Gerbera daisies, Gladioli, Marigolds, Roses, Sunflowers, Zinnias. 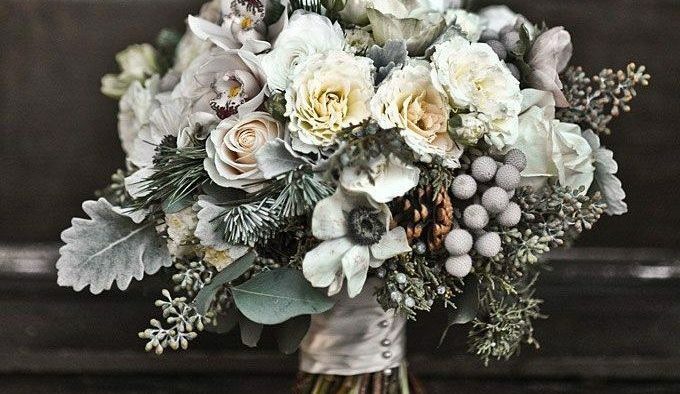 Winter Wedding Flowers: The cold winter air, the fireplaces crackling and the smell of snowy perfection. 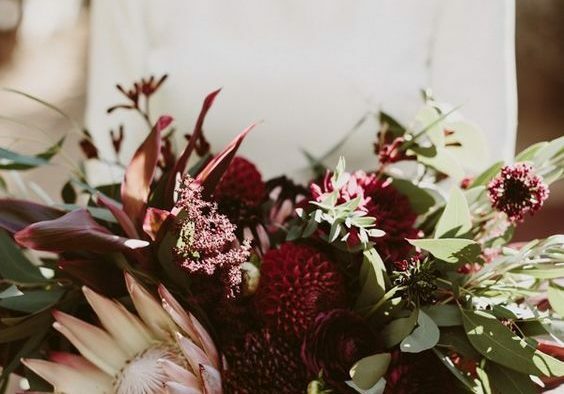 Couples can capture the beauty of the winter season with winter wedding flowers that are dramatic whites and rich reds or a combination of both. In season winter wedding flowers include Amaryllis, Anemone, Camellias, Casablanca Lilies, Forget-me-nots, French Tulips, Gardenias, Holly, Jasmine, Orchids, Mini Gerberas, Narcissus Paper Whites, Poinsettias and Roses. Do your homework. Interview floral designers as you would interview any other professional to make sure you both have the same vision. If you have that connection with the floral designer, they will be able to bring to life floral designs that execute your vision, even if you can’t articulate it or know nothing about flowers. Design a doppelganger. Love the look of hydrangea, but can’t invest in this pricey bloom for twenty centerpieces? Your florist can help you find a less-expensive look-a-like. Carnations are lovely, accessible, inexpensive flowers that, when bundled, can mimic the ethereal, garden look of a hydrangea. Think outside the vase… Breaking away from traditional flower vessels is a simple way to totally change the look of your wedding flowers — and to get a completely unique centerpiece to boot. Don’t be afraid to mix and match. Combining flea-market finds with anything from family heirlooms to hand-me-downs will be a charming touch! …and outside flowers! Not a flower person? Don’t force it! To jazz up floral arrangements and personal flowers, try adding feathers, buttons, decorative wire, candy, seashells, branches, wheat grass, and even fruits and veggies like asparagus and pears for an X-factor effect. Pick a color and design scheme — not a flower scheme. Any florist worth their salt can come up with cutting-edge designs within your budget if you give them colors over ‘must-have flowers’ that you specifically write into the contract. They can show you how some flowers can be swapped in for others, saving you big money! Recycle your blooms. Cut costs by making your arrangements pull double duty. Reuse your ceremony flowers at the reception. This helps keep cost down, and your florist is more than happy to come back after the ceremony and move everything to the reception. Don’t forget greenery! Consider foliage your best friend. Having your floral designer incorporate foliage with unusual textures and silhouettes can turn a ho-hum arrangement into a precious jewel or a stunning centerpiece. And foliage is comparatively less expensive than most floral blooms, so it can also stretch your floral budget. Make it personal. Select your wedding flowers for a reason. Do you have memories of your fiance bringing you yellow roses? Does your grandmother grow hydrangea in her garden? Does your mom wear gardenia-scented perfume? Flowers should be chosen for a reason, not just the color. Bring examples. Your florist isn’t a mind reader, so be sure to clue them in to your wedding style. Put together a ‘vision board’ with color swatches of your favorite colors or desired color scheme from a local paint store, as well as pictures from magazines and websites that show your style and overall decor preferences. Flowers are as common in a wedding as a white dress. For centuries, flowers have been used in bridal bouquets, as centerpieces on the tables and to decorate churches and reception halls. The beauty in their colors, shapes and textures as well as their fragrance and what certain flowers represent make them the perfect accompaniment to every style of wedding. Whether you consider yourself an authority on flowers, an admirer or completely clueless, you can pull off a fabulous floral design for your wedding. Most people don’t have favorite flowers, in fact until they start to plan a wedding, most brides and grooms have never had to think about what flowers say about their style or what they might be communicating through their choices for decorative flowers. If you’re not an expert or even someone who can name more than 3 types of flowers, you are not alone. Lucky for you, there are plenty of experts out there. 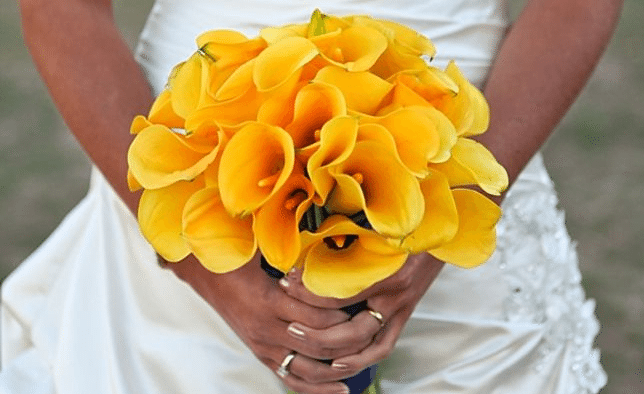 Any experienced florist can help you pick out the ideal combination of blooms for your wedding based on some general information about your ceremony and reception. Color – this is the difficult part for some. Even if you have a color scheme chosen for your wedding, sometimes it’s tough to narrow down how you want to accent that theme. Think about whether you want the flowers to draw attention and be a focal point or if you want them to blend with the overall style and not take attention away from other elements in the décor. Shape – for centerpieces, consider the height; a low floral centerpiece or a tall one will allow guests to see one another across the table. For bouquets popular shapes include round, cascade and hand-tied. Round bouquets and nosegays are common and more formal. Cascading bouquets are romantic and dramatic while hand-tied bouquets have a natural, simple look. Quantity – try to figure out how many of each type of arrangement you’ll need. How many centerpieces, bridesmaids’ bouquets, pew flowers, standing arrangements, hanging arrangements, boutonnieres and corsages. Budget – your florist will need to know what he or she has to work with. Once you have a budget established, you’ll be able to determine how lavish your arrangements can be or where you might need to cut corners. Who should do your flowers? Once you’ve made some basic decisions about what type of flowers you’ll need, how many different kinds of arrangements and how much you want to spend, you’re ready to meet with a few florists. If you have some references from friends, that’s a great start. If you’re starting from scratch and doing a search online, you might want to make some phone calls before setting up any face-to-face interviews. It’s always a good idea to meet with at least a few florists. They may all be seasoned professionals but each might come with a different skill set so you’ll want to choose the florist who most fits your needs. How many years have you been a wedding florist? Do you consider your style to be traditional or modern? Do you have any ideas for how I might stretch my budget? How many people will you have working on my wedding? It’s always a good idea to view a florist’s portfolio. And if they have references, that’s even better. If you have the opportunity to speak with past clients, you can ask them questions like whether or not their florist was punctual and a good problem solver and whether or not they would recommend their florist to others. It’s OK to be clueless… Your wedding flowers will set the tone for the look of your wedding. Be it opulent, simple, dramatic or understated. If you’re not ready to take the reigns on floral design, put some extra effort into finding the right florist. It will make all the difference. Your florist will come with all the expertise so you can focus on the rest of your wedding plans. And someone who understands your vision and has lots of fresh ideas will help you bring your wedding flowers to life. Hiring a florist who is easy to work with will make your wedding day turn up roses!